This switch plate is made of stamped steel that is painted white. It has a smooth, glossy finish to it to simulate porcelain. The style of the plate is called Princess because of its rounded corners and bevels. 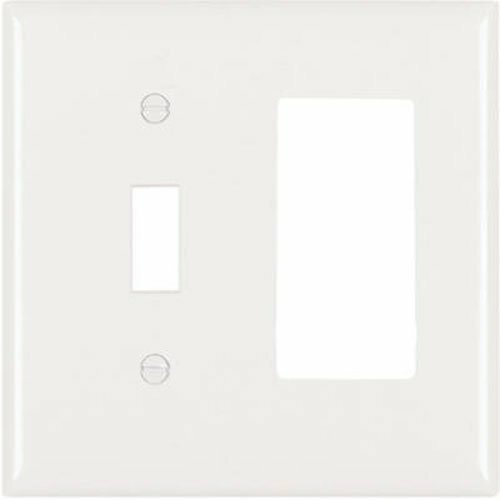 This wall plate is a two gang switch plate that will accommodate one standard toggle light switch and one standard GFI electrical outlet, rocker light switch or any other rocker opening devise. 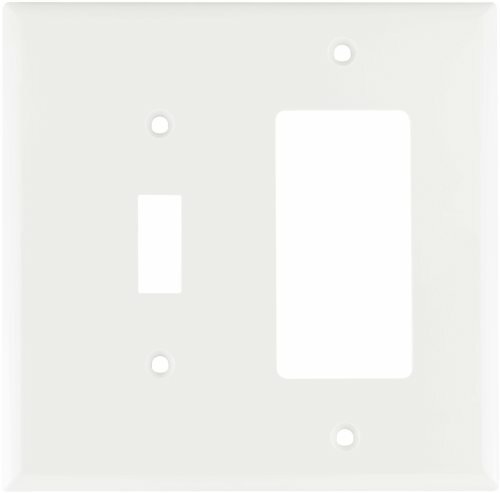 Plate measures 5" by 4 1/2"
The Leviton 80711-W is a 3-gang, toggle wall plate in white. 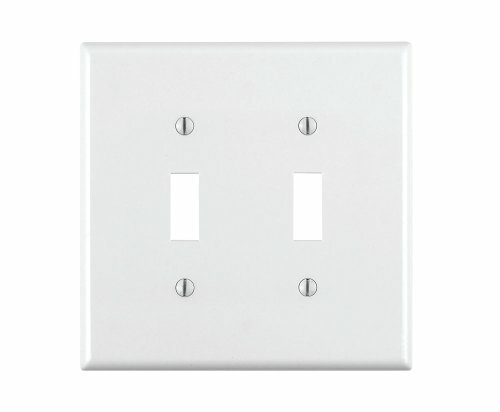 You can use Leviton 80711-W traditional wall plate with traditional Leviton devices. It represents form and style that have passed the test of time. 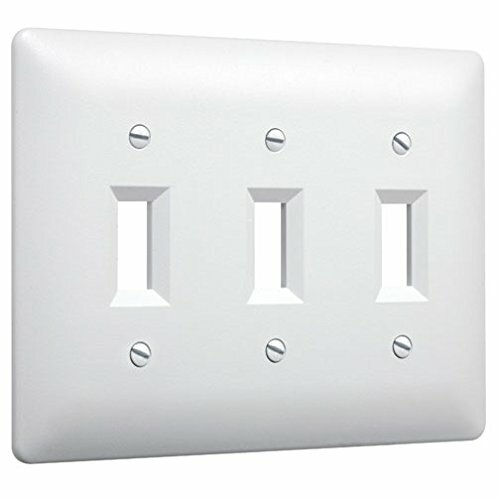 This 3-gang, toggle wall plate features clean lines that work in almost any location. The installation process is fast and easy. You can fit it into any standard wall box. All Leviton wall plates are constructed to stand up to heavy use. We have wall plates in many colors and configurations, so select the one that best matches your wall or wall coverings. This switch plate is made of stamped steel that is painted white. It has a smooth, glossy finish to it to simulate porcelain. The style of the plate is called Princess because of its rounded corners and bevels. 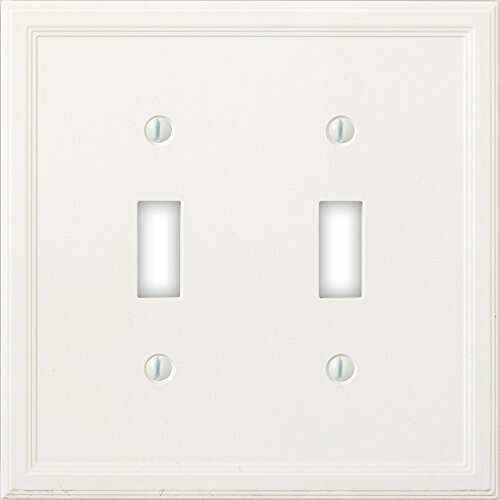 This wall plate is a three gang switch plate that will accommodate two standard toggle light switches and one standard duplex electrical outlet. Plate measures 5" by 6 3/8"
The Eaton 2153W-BOX Mid-Size 2-Gang Combination Toggle and Decorator Wallplate is constructed of polycarbonate for less breakage .The exclusive timesaving screw-catch holds mounting screws captive and makes for a quick installation. This polycarbonate wallplate has a flush-fitting, warp resistant design. Matching mounting screws are included. 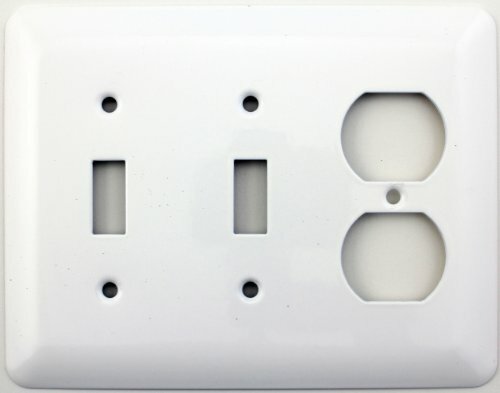 This combination wallplate is cULus listed and comes in a white finish. The Eaton 2153W-BOX Mid-Size 2-Gang Combination Toggle and Decorator Wallplate comes with a 2-year limited warranty that protects against defects in material and workmanship. Eaton offers innovative wiring solutions that increase productivity, energy efficiency and safety on the jobsite and at home. Their expansive offering includes code compliant devices for single and multi-family homes or residential development projects. Eaton has been a trusted name in electrical products for over 175-years and is headquartered in Peachtree, GA and has international manufacturing and distribution facilities. 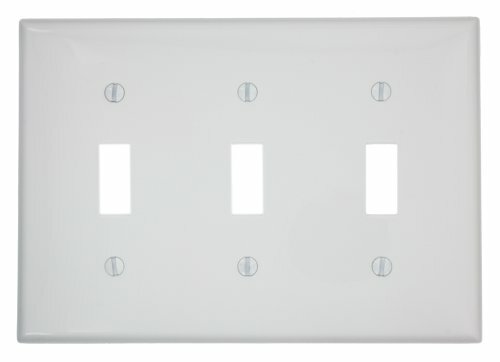 The insulated premium quality white wall plate covers have a clean, sophisticated finish that will enhance the beauty of any room. 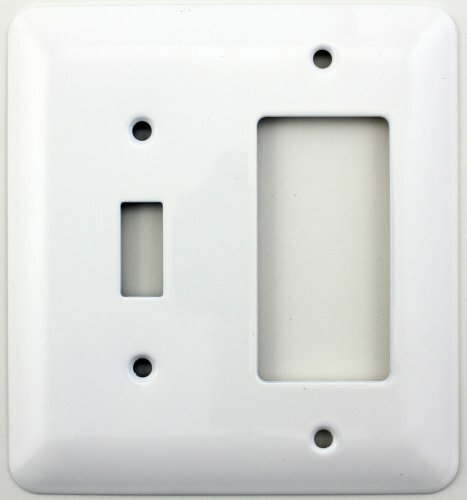 Easy to install, these wall plates will add the perfect finishing touch to your home. Looking for more White Toggle Switchplate similar ideas? Try to explore these searches: Bosch Heating Element, Frog Rattle, and Quality Freshwater Pearl Necklace. Look at latest related video about White Toggle Switchplate. Shopwizion.com is the smartest way for online shopping: compare prices of leading online shops for best deals around the web. 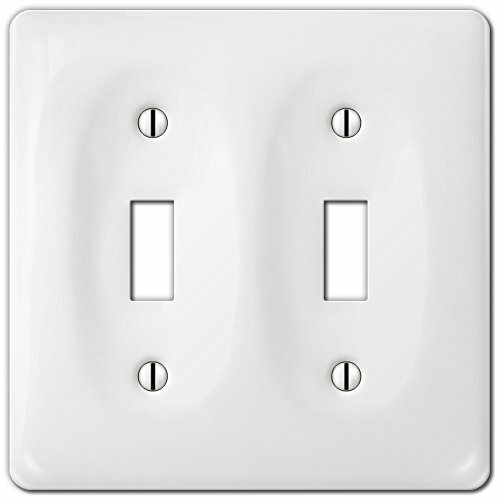 Don't miss TOP White Toggle Switchplate deals, updated daily.